Every person added to the People page appears on the schedule and is a part of your subscription. 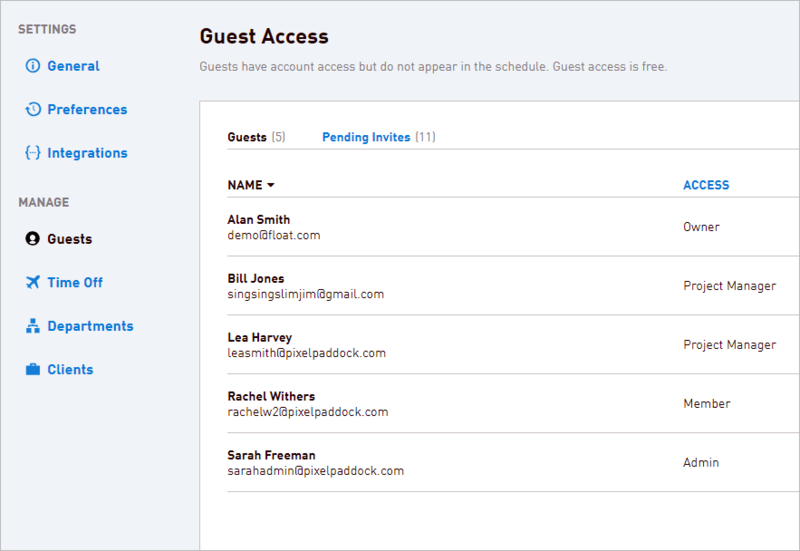 If somebody needs to view or edit the account, but not appear on the schedule themselves, you can add them as a guest from the Team Account Settings. You can have an unlimited number of guests for free! Account Owners can remove themselves from the schedule by selecting Delete from the actions menu within their profile. Any tasks assigned will be deleted and you will be transferred to the Guests page.